In this practical book, family counselor and best-selling author Gary Smalley, with John Trent, reveals a simple yet profound plan for a marriage of depth, warmth, and excitement. Guide your marriage for a lifetime by learning how to make your spouse feel truly honored, keep courtship alive, rebuild trust, and become best friends with your family. 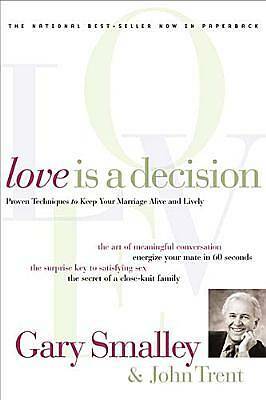 According to Smalley, good marriages are no accident. And deciding to love -- in the practical ways outlined here -- can result in relationships that are tougher than tough times.